Put all dressing ingredients in a small bowl and whisk thoroughly. Add salt and pepper to taste. 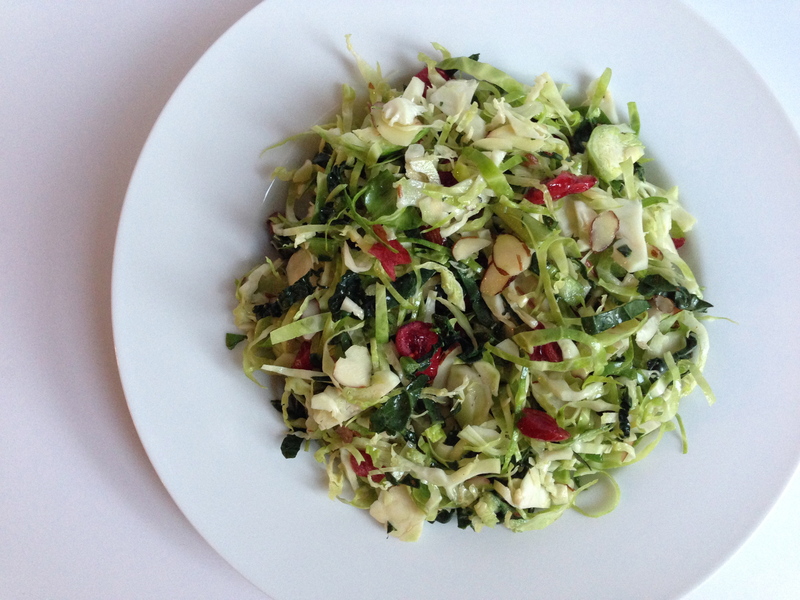 In a large bowl add shredded brussels sprouts, shredded kale, almonds and cranberries. Finally, add the dressing. Serves 6. Yum. I’m trying this recipe soon.